The Gang of Six: Zhang, Pang, Gang, Zhang, Zhou and Chen. (DOJ) On May 16, 2015, Tianjin University Professor Hao Zhang was arrested upon entry into the United States from the People’s Republic of China (PRC) in connection with a recent superseding indictment in the Northern District of California, announced Assistant Attorney General for National Security John P. Carlin, U.S. Attorney Melinda Haag of the Northern District of California and Special Agent in Charge David J. Johnson of the FBI’s San Francisco Division. According to the indictment, PRC nationals Wei Pang and Hao Zhang met at a U.S. university in Southern California during their doctoral studies in electrical engineering. While there, Pang and Zhang conducted research and development on thin-film bulk acoustic resonator (FBAR) technology under funding from U.S. Defense Advanced Research Projects Agency (DARPA). After earning their doctorate in approximately 2005, Pang accepted employment as an FBAR engineer with Avago Technologies (Avago) in Colorado and Zhang accepted employment as an FBAR engineer with Skyworks Solutions Inc. (Skyworks) in Massachusetts. The stolen trade secrets alleged in the indictment belong to Avago or Skyworks. As set forth in the indictment, in 2008, officials from Tianjin University flew to San Jose, California, to meet with Pang, Zhang and other co-conspirators. Shortly thereafter, Tianjin University agreed to support Pang, Zhang and others in establishing an FBAR fabrication facility in the PRC. Pang and Zhang continued to work for Avago and Skyworks in close coordination with Tianjin University. In mid-2009, both Pang and Zhang simultaneously resigned from the U.S. companies and accepted positions as full professors at Tianjin University. Tianjin University later formed a joint venture with Pang, Zhang and others under the company name ROFS Microsystem intending to mass produce FBARs. Hao Zhang, 36, a citizen of the PRC, is a former Skyworks employee and a full professor at Tianjin University. Zhang is charged with conspiracy to commit economic espionage, conspiracy to commit theft of trade secrets, economic espionage and theft of trade secrets. Zhang was arrested upon entry into the United States on May 16, 2015. Wei Pang, 35, a citizen of the PRC, is a former Avago employee and a full professor at Tianjin University. Pang is charged with conspiracy to commit economic espionage, conspiracy to commit theft of trade secrets, economic espionage and theft of trade secrets. Jinping Chen, 41, a citizen of the PRC, is a professor at Tianjin University and a member of the board of directors for ROFS Microsystems. 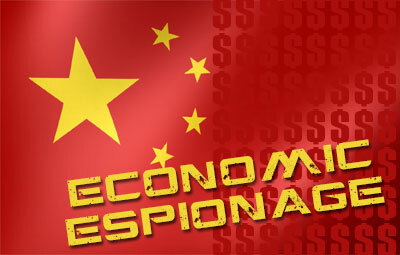 Chen is charged with conspiracy to commit economic espionage and conspiracy to commit theft of trade secrets. Huisui Zhang (Huisui), 34, a citizen of the PRC, studied with Pang and Zhang at a U.S. university in Southern California and received a Master’s Degree in Electrical Engineering in 2006. Huisui is charged with conspiracy to commit economic espionage and conspiracy to commit theft of trade secrets. Chong Zhou, 26, a citizen of the PRC, is a Tianjin University graduate student and a design engineer at ROFS Microsystem. Zhou studied under Pang and Zhang, and is charged with conspiracy to commit economic espionage, conspiracy to commit theft of trade secrets, economic espionage and theft of trade secrets. Zhao Gang, 39, a citizen of the PRC, is the General Manager of ROFS Microsystems. Gang is charged with conspiracy to commit economic espionage and conspiracy to commit theft of trade secrets. Count One: conspiracy to commit economic espionage: 15 years imprisonment; $500,000 fine or twice the gross gain/loss; three years’ supervised release; and $100 special assessment. Count Two: conspiracy to commit theft of trade secrets: 10 years imprisonment; $250,000 fine or twice the gross gain/loss; three years’ supervised release; and $100 special assessment. Counts Three Through Seventeen: economic espionage; aiding and abetting: 15 years imprisonment; $500,000 fine or twice the gross gain/loss; three years’ supervised release; and $100 special assessment. Counts Eighteen Through Thirty-Two: theft of trade secrets; aiding and abetting: 10 years imprisonment; $250,000 fine or twice the gross gain/loss; three years’ supervised release; and $100 special assessment.